Stamping fabric is nothing new, but that doesn't mean the technique should be thrown on the back burner. This project is less about stamping fabric, and more about revamping a plain long sleeve tee and making an easy, affordable, customized stamp. In total, my stamp only cost $.47! Supplies: Foam sheet, fabric paint, plain tee. Pantry Supplies: Scissors, pen, test paper, hot glue gun. 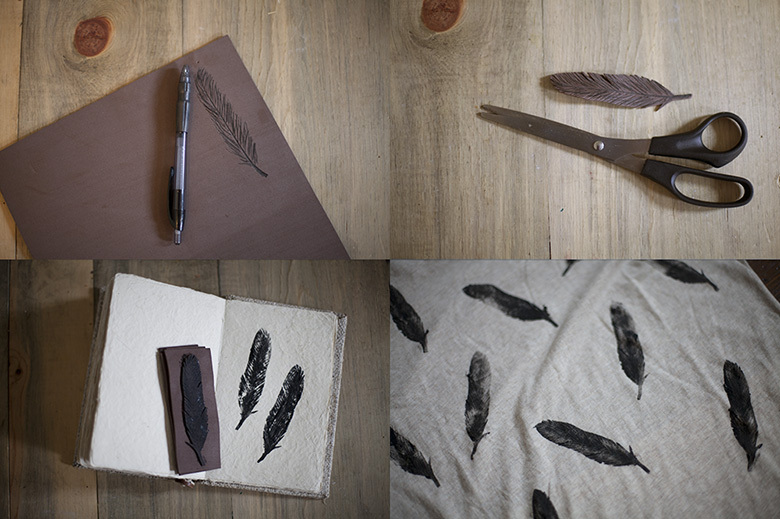 Begin by drawing a feather on the foam sheet. I drew mine by hand, but if you're not confident in your drawing skills, simply Google feather silhouette or feather clip art. // Once you've drawn the feather, cut it out, adding small slits to create texture to the feather. // With the remaining foam, cut it into small rectangles, slightly larger than the feather, and glue them in a stack with the feather glued on top. Test out your stamp on paper before moving onto the shirt. // Once you're satisfied with the stamp, start revamping your tee! I finished off this look with a pretty necklace and my favorite jeans. This type of outfit is comfy enough for a photo shoot in the great outdoors, but nice enough for a coffee date with clients. 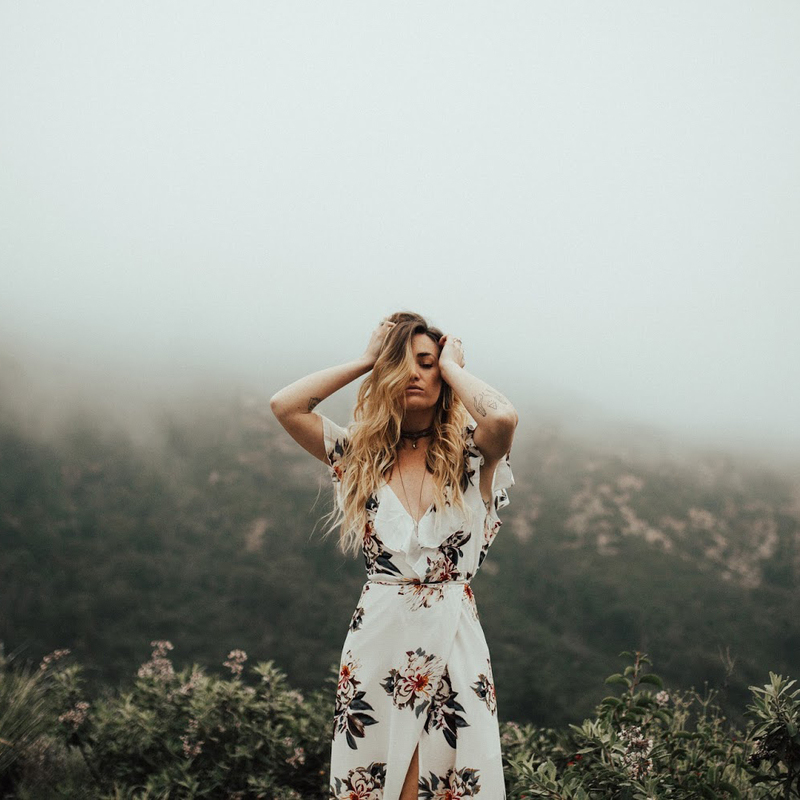 Have you revamped any clothing with this technique? Leave a link! I'd love to see. LOVE this idea. definitely going to have to try it! Great job Kinsey! i love it! This is so cute! Thanks for sharing! great idea, and love your necklace! Thank you for this! I plan on spicing up some 'boring' long sleeves very soon, because for 47 cents, even someone who is in the middle of her pour twenties can do it! 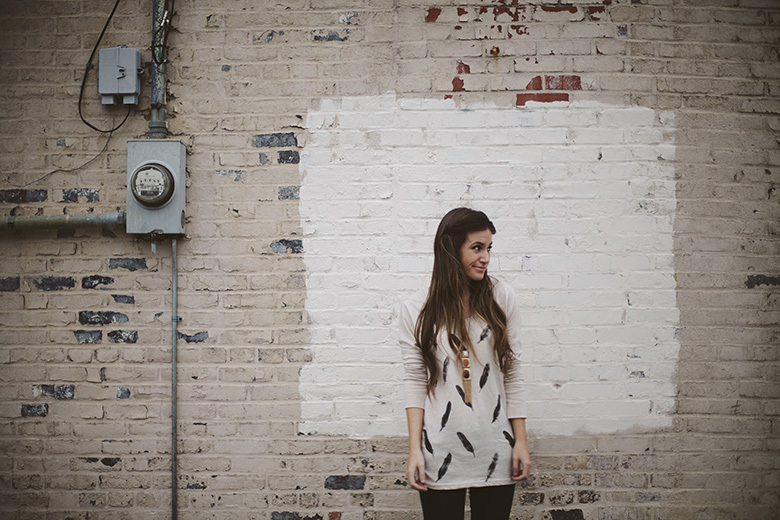 Your style is lovely. Loving this DIY! Will try this one out. I work at a craft store so I can get all of these supplies for a cheaper price! I love this idea, it's so simple but it makes the shirt look so fashionable and more expensive. You could make so many different stamp designs too. This would be cool for Halloween or Christmas designs. Pretty sweet idea! I have never seen this done before! It looks so easy! Beautiful idea! This is super cute! I really want to try something like this, definitely with a unique object/stamp. Yours is beautiful. It's so cute! I'd love to give it a try! What a GREAT ideas, i LOVEEE this! great diy! i'd love to try this. Looks great! I'll definitely be doing some stamping! I really like the pattern you made with the feathers. feathers are my favorite! This is so perfect! I cant wait to try this! I love this! The way you placed the feathers on your sweater is really cute. this is so cute! you always have the best diy ideas. I adore this! It would make a great Christmas gift. It's happening! that's an awesome idea, i'm going to try it out! I just adore this idea! clever lady. cant wait to make some. Some things are just too simple to not try. 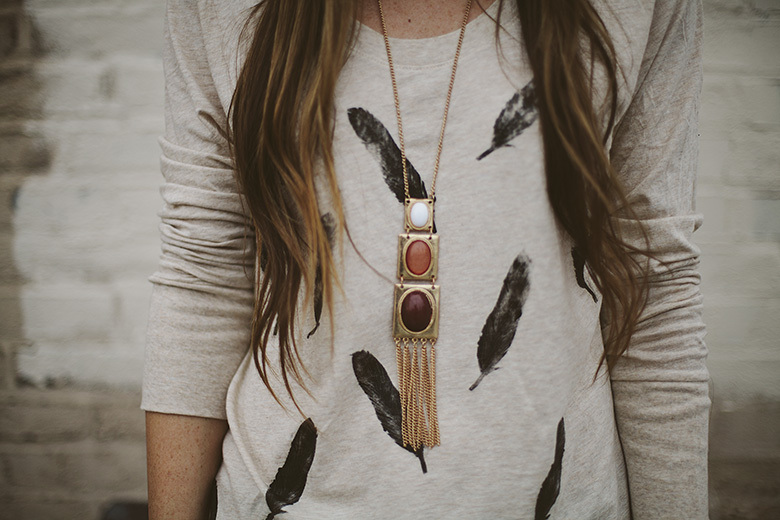 Love your feather and Necklace. what a beautiful diy, looks lovely! i love how practical, yet trendy, all of your posts are! So beautiful! Can't wait to try this. I love this idea! I'm definitely trying this as soon as possible! I likeee! What a neat diy! thanks for sharing this! its awesome! what?! Totally looks like you bought this at some super fancy boutique. Thanks for the tutorial! Love this so much... the feathers are very realistic! Did you remove some foam between each barb to achieve the look, or is it enough to cut a slit and the ink won't stamp there? Thanks for the awesome tutorial as always! You've totally changed my world with this. Just started following your blog recently, and I'm already reaping tangible rewards. Now I can continue to dress comfortably and not feel so plain! Seriously, game-changer! Love this so much!! Can't go wrong with a feather print either! You're so creative! I don't know where you come up with so many amazing ideas. Love the idea! What sort of paint did you use to transfer it onto the shirt? I just used a basic fabric paint! oh i love this project. im going to try it! 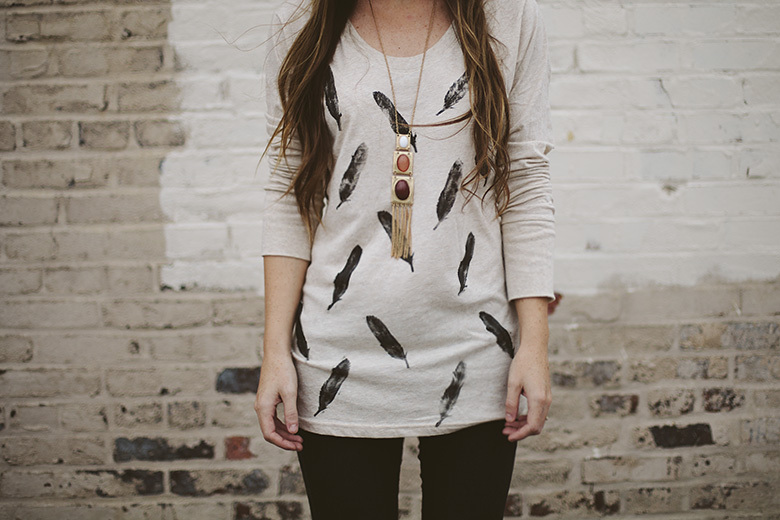 I'm obsessed with feathers right now, and this is lovely! I can't wait to try it!